Cocobolo heartwood has very tight pores and fine texture. The pores are filled with volatile oils that give the wood a waxy feel. Flatsawn cocobolo can exhibit wild swirling patterns, and the quartersawn stock can display striking ribbon stripe or broken mottle figure. The wood has a slightly pungent odor that intensifies when you work it. Caution: Some people have allergic reactions to the volatile oils in cocobolo, including rashes and sneezing. These reactions get worse with each exposure to the wood. 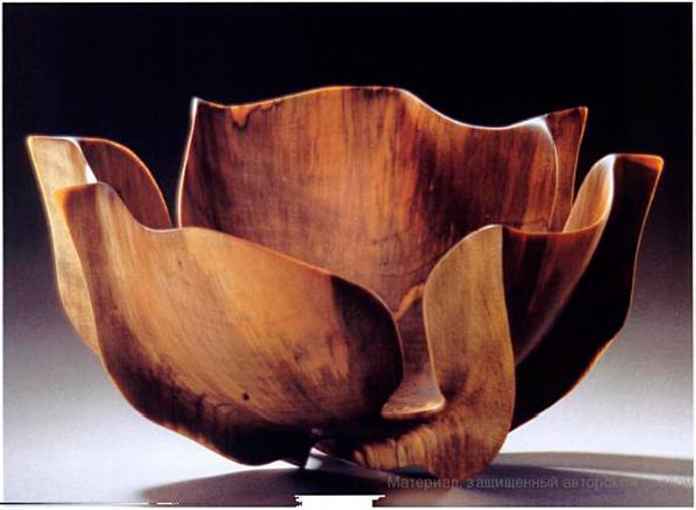 If you become allergic to cocobolo, don't work it, and stay away from places where the wood is being sawn or sanded. Cocobolo is very stable. It works well with both power and hand tools but tends to dull edges, so it's best to use carbide-tipped cutters. The wood nails and screws well, though I prebore all fastener holes. It turns easily and holds detail very well. It's best to scrape cocobolo; the oils tend to clog sandpaper. These oils also inhibit glue bond. You're best off with mechanical joints such as mortises and tenons, tongues and grooves, or splines. Prewash edge joints with lacquer thinner or acetone, and glue up as soon as the solvent has evaporated. Cocobolo's volatile oils pay off in the finishing department: Left to their own devices, they build up like wax, protecting the wood from moisture and forming a lustrous patina. For a high polish, just rub the unfinished surfacc with a lint-free cloth. 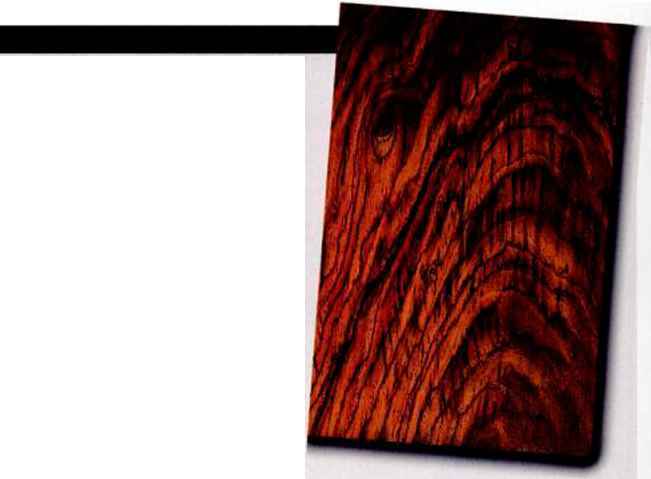 Many hard finishes, including polyurethane and shellac, do not adhere well to cocobolo. Lacquer does, because it dissolves the surface oils.